The Size 4 bag filter housing is a full-featured investment-cast filter housing. the cover can be easily adapted to different opening directions. 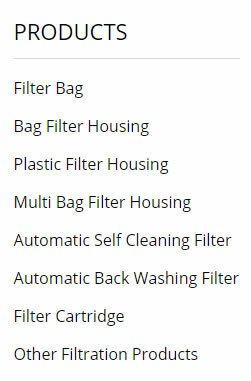 --For filter bags sizes 04. --04 Size bag filter vessel- 10,000 lt per hour flow for Nominal rated bags. --Bag filter housing is available in 304 or 316 stainless steel. --1" NPT Inlet and Outlet.